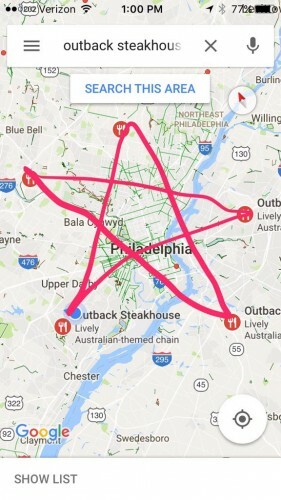 Outback Steakhouse, a chain of Australian-themed but American-owned restaurants in the US, has found itself embroiled in a rather meaty satanic conspiracy. 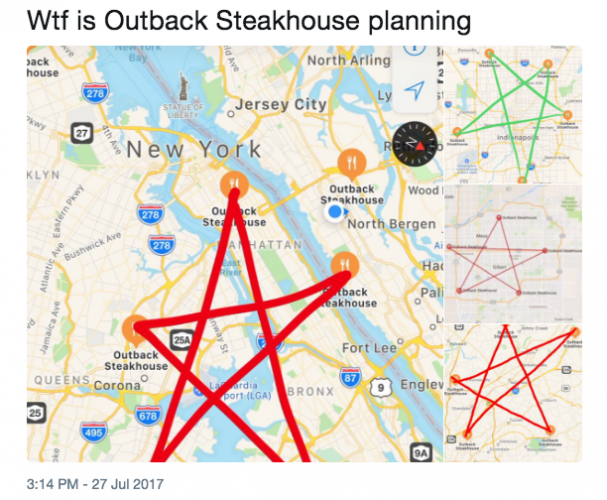 Apparently the locations of numerous Outback Steakhouses in major US cities form to make a pentagram, a symbol commonly used in occult and satanic practises. 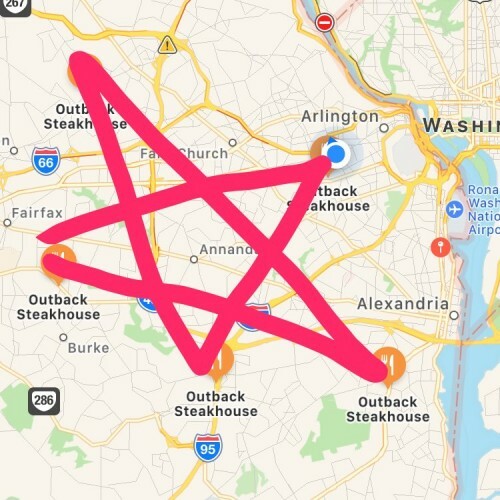 When diners looked at a Google map of is stores across the US in particular cities they all form the Devil’s own pentagram. 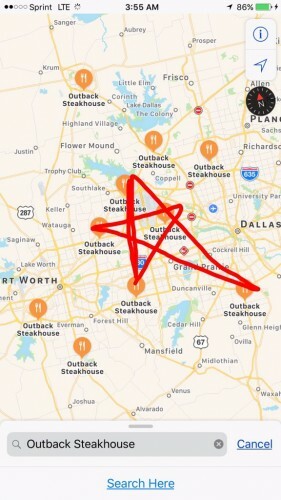 Coincidence or the meaty work of Satan himself? 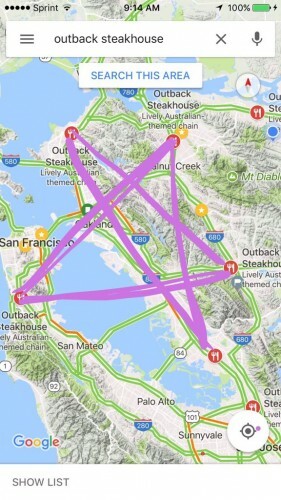 Amateur investigators have discovered the pentagram phenomenon in Cincinnati, North Carolina, Tennessee, Miami, Texas, Philadelphia and Virginia. 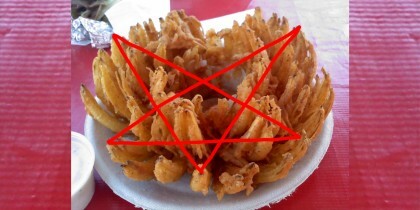 While some wag has suggested its signature Bloomin’ Onions dish carries the sinister symbol, too.